The Kenwood DDX9703S is a DVD/CD/AM/FM car stereo. it is simple, yet beautiful and is packed with features that make the price tag worth it. There are countless consumer reviews on Amazon that testify to how much they loved this unit but is it really worth its price? 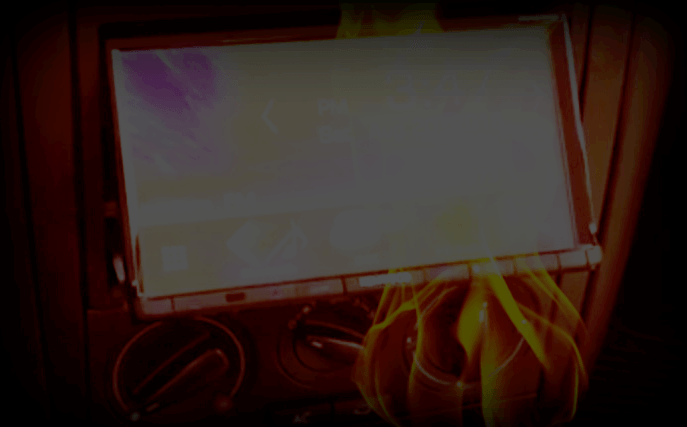 In this review, we lay down and dissect all the DDX9703S features for you in the hopes of helping you decide what the perfect head unit is for you. Kenwood seems to have manufactured this unit with a wider target demographic in mind. Looking at the product features, it does not seem to want to cater to just the modern individual who wants to sync and control everything with a smartphone. Because it has more of the older features that some modern head units (sometimes disappointingly and frustratingly) lack, there is a wider market for this item. In a nutshell, this unit is a 2-DIN DVD/CD/AM/FM car stereo with built-in HD Radio, Apple Carplay and Android Auto. It weighs in at 7.85 pounds and measures 12.6x10.2x7.6 inches. Black encases the 6.95” resistive LCD touchscreen display with LED backlight. It is a little pricier (by not too much, though, one might note) but it has all these functionalities that would make you choose this unit over its competitors. Its almost 7 inches resistive LCD display with LED Backlight, though still challenging under the glare of the sun in daylight (normal for LCD displays), is bright and clear and colorful. It has a motorized 7 step tilt angle adjust. The AM/FM tuner comes with 18FM/6AM presets. It has dual phone connection which allows users to connect 2 phones at the same time, as well as to switch easily between connectivity of either one with the single press of a button. Almost all music file formats are supported (MP3/WMA/AAC/WAV/FLAC) on DVD/CD/USB. The most common photo and video formats are also supported via USB. This unit supports Android Rapid Charge through the USB port up to a maximum of 1.5A. Audiophiles would be pleased to know that this has a 13-band equalizer. For smartphone junkies, the fact that this unit has Apple Carplay (for iPhone users) and Android Auto (for Android users) would be essential. It also has Siri Voice Control. Another added plus is that the Kenwood DDX9703S is Pandora and Spotify ready. It has built-in Bluetooth technology for hands-free talking and audio streaming and works with most Bluetooth enabled devices for up to over 38 feet. It has 2 RCA video input for backup cameras and for dash cams. One can also pay extra for a SiriusXM subscription. 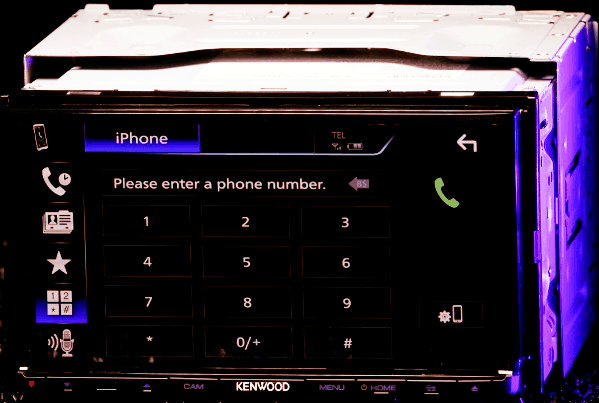 Some of the products and accessories that are commonly purchased with the Kenwood DDX9703S are the HDMI cable, the SiriusXM tuner kit, dash cameras and others. Installation for the Kenwood DDX9703S, I believe, should be left to the pros. There are some user reviews who claim to have easily installed their units by themselves with the minimal car and stereo knowhow. While some consumers have successfully DIY-ed their way to install this in their cars, this product is so feature-packed that I feel as if the safer way to go would be to have it installed by someone who knows their way around the wiring and the software and all the other innings and outings that one has to go through to get a proper installation. For example, if you want to keep the controls on your car’s steering wheel connected to the stereo after replacing the factory unit, you would have to purchase the wirings and rewire the stereo to your steering wheel. A few bucks extra to have your $399 head unit surely wouldn’t hurt. Let’s get down to the pros and cons of the Kenwood DDX9703S. I’ll start with the positives. At first, glance while shopping and comparing items, you will find that one of the best things about this product is its value for money. Compared to other products within the same price bracket, this one obviously has more features. Just for that, it automatically gets an advantage over the competition. A more in-depth look would take us to the 6.95” display. It might be helpful to note that you can customize the display to match your car interior. This is especially pleasant because who wouldn’t want their dashboard to look updated, am I right? I didn’t think that a modern head unit would be compatible with my 2010 Nissan Maxima and that it was a very pleasant surprise for me to find out that it was. After having the unit installed, getting into the 2010 Maxima felt like a more modern experience compared to the 2014 Ford Fusion. That just goes to show how huge a difference a modern dashboard can add to the driving experience. An even more in-depth look would take us to the 13-band equalizer. Audiophiles would appreciate this feature because they can customize and choose the way they want to listen to their music. Some users claim that it has even made their factory speakers play music better (I am guessing we have the equalizer to thank for this). Another cool thing about this product is how it adapts to both new school and old school ways of playing media files. Yes, it has MP3 via USB and Bluetooth, but it has not forgotten the DVD and CD. This is mentally soothing me in a nostalgic and comforting way because not everyone has let go of that technology and I personally find it frustrating whenever the need for disc playback arises and there is no disc player available. A review is not a review without mentioning cons. While the worst complaint I could find is probably about the screen’s glare under the sunlight and how the screen is too dim for sunlight. I don’t think this is so big a con that one would be discouraged from buying this product. For one, all LCD screens are, at a certain level, hard to view under sunlight. I would imagine that inside a tinted car, the screen’s glare would not be an issue anymore. The other common complaint I seem to hear from consumers regarding the Kenwood DDX9703S is that a legal disclaimer pops up whenever the unit is turned on. This might be annoying for some users, but it probably would not be a real discomfort. One more thing I noticed is that this has a resistive touchscreen. Again, this isn’t really a major con, but resistive touchscreens are less responsive as compared to capacitive touchscreens and they require more pressure. However, people who bought the unit have reported that the touchscreen is smooth and responsive and works like a dream. I guess it would be safe to say that this negative still probably wouldn’t hinder one from purchasing the product. As aforementioned, the Kenwood DDX9703S comes packed with more features when placed beside other products within the same price range. Also within the $300-$400 range is the Pioneer AVH-2300NEX. With almost the same features (except for FM/AM radio), this one is about $80 cheaper. The Pioneer AVH-2300NEX is made specifically with the smartphone junkies in mind. If you are someone who is more techie than one who is a mix of old and new school, this one might suit you better while spending almost $80 less. The Pioneer AVH-1300NEX is also a cheaper option at around $220 at 6.2” also with a resistive touchscreen panel. It also has the basic features of the DDX9703S but is an older model and might not be compatible with the newer smartphone features such as Android Auto. It has Bluetooth technology, DVD/CD/USB playback and supports most media file formats. This unit is SiriusXM ready as well and supports Apple Car Play. At almost half the price of the Kenwood DDX9703S, this one actually is not a bad option in case you have simpler needs that the Kenwood caters to. Pioneer’s AVH-X390BS is worth $220, far from the price point of the DDX9703S. This one has a smaller screen, only 6.2 inches, but it has the basics that one might need from a car stereo-DVD playback (most audio, video, and jpeg files are supported), Bluetooth, AM/FM radio. For someone who might have simpler car audio needs, this might be a better choice for half the price. Another competitor product, but from Kenwood, is the DMX7704S. This one is also within the same price range, only $50 cheaper, but has way fewer features than the DDX9703S. 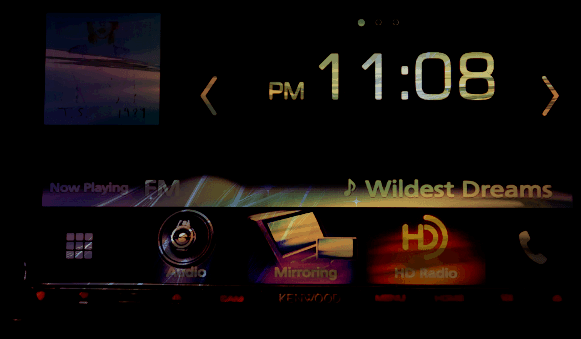 This one is simply a digital media player with Bluetooth and HD Radio. Like the Pioneer competitor, this one is for the techies who have no use for media play from discs or an AM/FM radio. For an additional $50 though you get a whole mélange of features more with the DDX9703S. The Alpine ILX-107 is another 7” touchscreen car stereo, priced at $664. This is a more luxurious option with a capacitive touchscreen, steering wheel control ready, but not much more features compared to the Kenwood. Based on this, it’s pretty clear that Kenwood has priced this unit fairly, even when put beside other competitor products. From here, your decision has to boil down really to what you want and need from your stereo. It was mentioned earlier that this head unit was designed for a wider market. It is so easy to imagine the 60-something year old playing his CDs from favorite artists from the 1970s while driving. Just as easy it is to imagine the 20-something-year-old driver listening to music via Spotify. Or a mom who just wants to play her kid’s DVDs on loop while traveling. Can you imagine the shared family car with this car stereo? Just from that, you can tell that Kenwood is reaching out to everyone with this product. It is basically a foolproof, user-friendly, easy to operate head unit that anyone can use, which is in stark contrast to some modern releases, both from Kenwood and from competitor brands. Those are obviously catered to the millennials and the techies because those are all about achieving a smooth, hands-free smartphone sync. Can you imagine the struggle of those who are not completely comfortable with that technology? I can. This head unit is not for someone who has very basic needs regarding media playback. There are much simpler and much cheaper options for those who want only a handful of features. This one is for those who want more media playback options available to them. I think the addition of the 13-band equalizer is also something to note. This one is not just for casual listeners. This model is for those who really put a value on their car listening experience. The ability to let users customize the sound according to their unique tastes and preference shows us the value that the company gave to the quality of the sound experience that their customers get with every purchase of this product. It all boils down to this: yes, the Kenwood DDX9703S is a worthwhile purchase. You just have to identify your specific needs as a consumer and as a user. This one is a head unit that I would most surely recommend. It gives you value for your money, and it makes every single dollar spent worth it. It gives you (plus whoever ends up riding in your car) basically whatever you would need in terms of media playback, GPS and map data, smartphone usage and camera connectivity. There really isn’t anything else more than one could ask for that isn’t in this model. That, plus the fact that the DDX9703S is not outrageously priced (even if you do end up purchasing all the other accessories to really make the most out of this product), makes it a really good purchase, all in all. The Kenwood DDX9703S should most definitely be on your list of options if you are ever in the market for a new car stereo. Kenwood did well on this one.